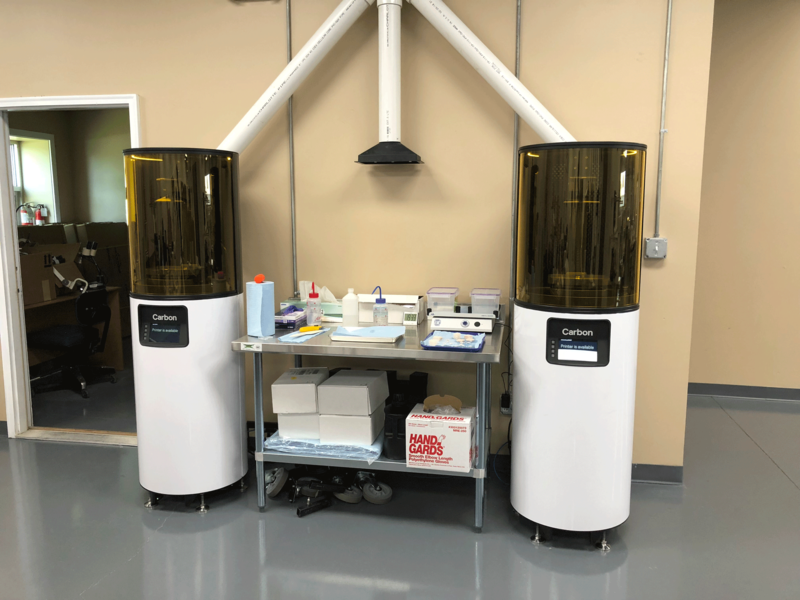 Edmonds Dental Acquires Two New Carbon 3D Printers - Edmonds Dental Prosthetics, Inc.
Edmonds Dental Prosthetics, Inc.’s focus has always been bringing high quality products to our doctors. We foster trusting relationships built on communication and customer service. One of the greatest ways we serve our doctors is by utilizing state of the art equipment. This means we are always looking for ways to improve our manufacturing processes through digital technology. The latest improvement to our digital manufacturing process is the addition of two Carbon 3D printers. 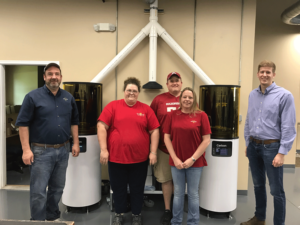 Why Choose Carbon 3D Printers? 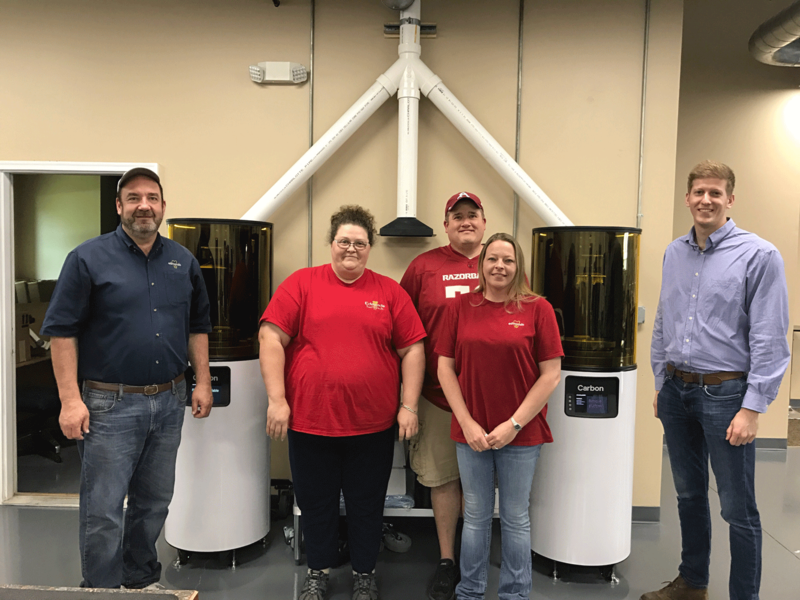 Our colleagues within TEREC-NA (a consortium of independently owned and regionally located dental laboratories) share feedback and information about equipment and materials they have experienced. This year we attended the Chicago Mid-Winter meeting where we learned specifically about the benefit of Carbon printers. Older 3D printers’ processes involve light-curing resin between the build plate and the resin tray membrane. Next the light-cured part is “lifted” off the membrane and the curing process repeats. This makes each layer visible if the printer is not at its smallest micron setting. The Carbon printer, however, seamlessly creates the product without revealing separate build layers. Carbon’s printer technology builds parts within an oxygen layer. This eliminates the need to “lift” the product off the resin membrane which speeds up the printing process. This results in printed parts that seem to emerge out of a vat of resin. 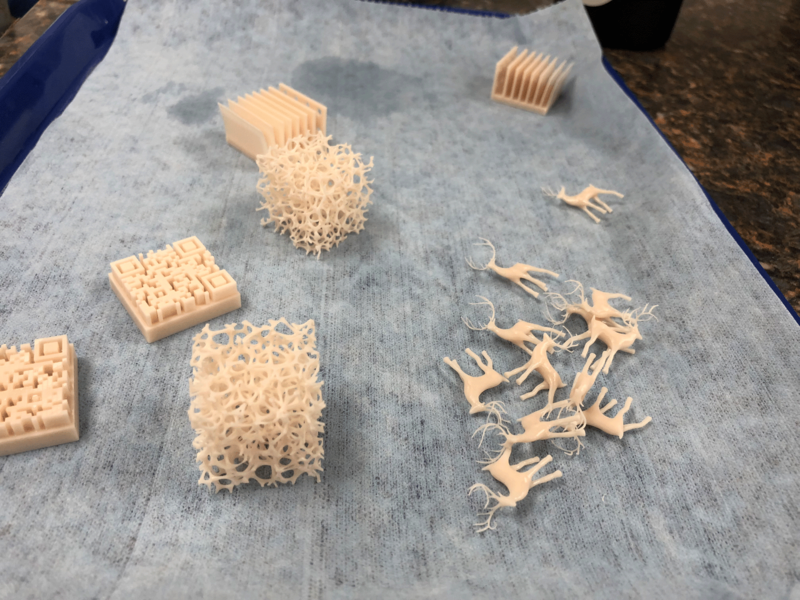 We are excited to experiment with our Carbon printers’ capabilities for our implant, crown and bridge, and removable departments. Our mission statement describes the heart of our company. We provide quality you can trust, from people who care. And we do care about what kind of service we provide. By investing in Carbon’s technology, we hope it is evident how devoted we are to this mindset. We want our doctors to have expert service without the risk of products breaking or failing due to faulty materials or processes. Our ability to create high-quality products will increase as we integrate Carbon printing into our production model. Carbon printing will enable us to produce products more consistently, giving you the quality restorations you’ve always counted on. The purpose of this investment is to help our company provide you with the best, so you can give the best to your patients. We trained to use these printers on Thursday and Friday (May 24th and 25th). We were eager to learn how to efficiently operate our new technology with proficiency as our goal. This week we will begin testing and practicing with the printers to ensure they are working with 100% accuracy. Once the training and testing phases are complete, our laboratory will proudly implement Carbon printing into our production. We are excited to share our improvements with you!